Ashley F. Morgan Law, PC helps many people with their debt issues. We pride ourselves in being able to help individuals find the best solutions for their individual problems. Our firm often helps people address their traditional debts, such as credit cards and loans, through the bankruptcy process. We also help people with tax issues through standard tax resolution options, such as payment plans or offers in compromise directly with the Internal Revenue Service. But sometimes we are able to handle all their debts through a bankruptcy. We understand dealing with taxes can be stressful, which is why we want you to know about all potential options. Most people believe that taxes cannot go away with bankruptcy. There is only some truth to that idea. 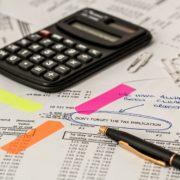 Some tax debt, such as trust fund taxes, cannot be discharged. 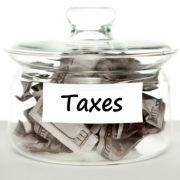 Other taxes, such as income taxes, may be discharged if certain conditions are met. 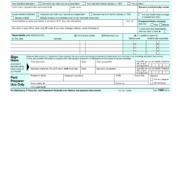 For the tax to be potentially dischargeable, the clients needs to have filed the taxes on time (or close to on time). Additionally, the taxes need to have been due three years before you file for bankruptcy, filed at least two years ago and 240 days since the taxes were assessed. There can also be no allegations of fraud related to the tax debt. Make sure to review your situation with an experienced bankruptcy attorney. 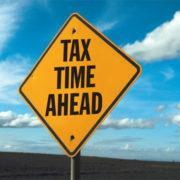 Timing is especially important with tax issues; last thing you want is to file a few months or days early. 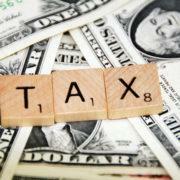 There are certain benefits to managing tax debt through bankruptcy. The most important benefit is that there is one process that is potentially managing all your debt issues. A Chapter 7 can help you wipe out unsecured debt and dischargeable tax debt in one quick and efficient process. The downside is that if there are any non-dischargeable taxes, they will remain after the bankruptcy. This option is often best for individuals with older tax debt that now have managed to owe little or receive a refund in recent years. A Chapter 13 allows for a three to five year payment plan to manage all non-dischargeable taxes and will result in a discharge of the dischargeable debts that were unpaid. 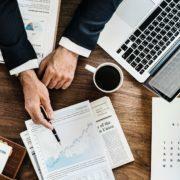 Additionally, the bankruptcy code allows for a little more flexibility for allowable expenses when calculating a payment plan. The court reviews your plan to determine what is reasonable. The IRS follow their allowable guidelines for each county fairly closely. The downside to a Chapter 13 plan is that it requires all priority tax debt to be paid in the plan, in addition to all other traditional Chapter 13 requirements. So, if you can pay something over the course of your plan, but it is not enough to satisfy the priority taxes, you will not be allowed to utilize a Chapter 13 filing. This option is often best for individual with low to moderate tax debt and decent income. Additionally, if you have higher than average secured debts, such as cars and homes, the bankruptcy court will take those factors into consideration unlike the IRS. A tax resolution payment plan can allow for other perks; the plans are for up to six years, which is longer than any bankruptcy option. These plans are agreements direct with the IRS, which means there is no public record of the agreement. 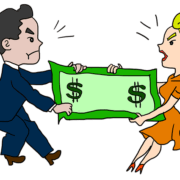 This agreement would result in no public notice regarding the tax issue, unless the tax debt was significant enough or old enough that a tax lien was filed in the land records against you and all of your property (both real property and personal property). Additionally, some plans can be as low as $0 per month, if the IRS determines you fall into the category of currently non-collectible. This means that you do not have any disposable income under their standards. However, their guidelines are more strict, as discussed above. But, if you have additional outstanding tax debt, a tax resolution does nothing to help manage those additional debts. This option is often best for individuals with little to no additional debt or that have a substantial amount of recent tax debt or non-dischargeable tax debt with limited income. Finally, we sometimes use both a bankruptcy and tax resolution to achieve the optimal results for our clients. Chapter 7 can help clients get rid of their unsecured debts, surrender any unwanted secured debt, and get rid of any dischargeable tax debt. We then follow the bankruptcy discharge with a tax resolution payment plan. This plan takes into consideration what the client is able to pay. Our firm often uses this debt management option with clients with higher incomes and substantial tax debt. The substantial, non-dischargeable taxes may help a high income individuals qualify for a Chapter 7 who might not otherwise qualify for a discharge. By offering our clients bankruptcy and tax resolution options, we are able to fully explain all options to our clients ensure they are making the best choice. If you are experiencing financial difficulties of any kind, please let us know. Schedule an appointment to talk to one of our attorneys about all your options. Our experienced attorneys can review your situation, and discuss all potential benefits and drawbacks to each option. We can be reached at 703-880-4881. Attorney Ashley F. Morgan is a Virginia licensed attorney. She has been helping clients manage various types of debts for years. Ashley focuses on helping her clients finding the ideals solution to their debt problems. Attorney Arthur Rosatti is a Florida licensed attorney has extensive experience dealing with the IRS and negotiation payment plans and settlements. He understands having tax debt and dealing with the IRS is stressful. He strives to make the process as stress free as possible. Both Ashley and Arthur are available to review your debt situation; they always collaborate on cases to ensure that their clients are receiving the best advice possible. Starting in January 2018, the Internal Revenue Service (IRS) will forward information about certain taxpayers to the Department of State to revoke passports. This was the first action taken to enforce the Fixing America’s Surface Transportation (FAST) Act provision, which called for those taxpayers with “seriously delinquent tax debt” to have their passports revoked if they were not taking the necessary steps to deal with the debt. This is being done to encourage taxpayers to deal with their tax debt in as an efficient manner as possible. Those taxpayers that are deemed “seriously delinquent” are those that owe more than $51,000.00 in back taxes, penalties and interest for which the IRS has filed a Notice of Federal Tax Lien and the period to challenge it has expired or the IRS has issued a levy. It is important to be proactive with your tax debt in every situation but extremely important if you are over the $51,000.00 threshold. You can protect your passport by getting into a protective agreement with the IRS. If you have already gotten notice that the IRS has forwarded your account to the State Department, you need to take action in order to get your passport back. Please call our office for a free initial consultation to determine what your best options are. For additional information, check out the IRS website regarding Passport Revocation. Arthur Rosatti, Esq. is an attorney at Ashley F. Morgan Law, PC. 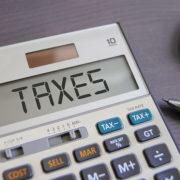 He has years of experience helping individuals manage their state and federal tax debt.